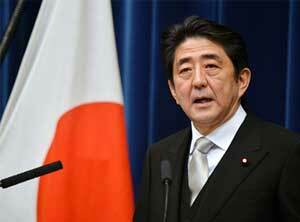 Japan Prime Minister Shinzo Abe introduced a variety of monetary policies to keep the economy running this past year promoting better conditions for the country’s real estate market. One of these monetary policies should benefit the property industry of Japan struggling to create demand, arrest the high vacancy rates and caving property market prices. Japan has announced to raise the amount of residential mortgage tax credit from 2014 through 2018. This new measure aims to offset the increase in the consumption tax rate in April 2014 and an extension of the previous tax credit scheme given since 2009. Analysts, however, are quick to point out the tax breaks promoted by the Japanese government have good and bad points for property developers, buyers and investors in the country. Since the residential market plunge in 2009, Japan’s real estate market had only shown signs of life by the end of 2011 to 2012. Part of the credit could be given to the tax breaks magnified by the Japanese government to boost demand in mid-2009. Mortgage tax credit: Who gets to benefit? Although rentals are not covered, mortgage tax credit in Japan is calculated on an outstanding mortgage balance. The mortgage must be longer than 10 years and made for the purpose of building or buying an owner-occupied home. Did the new tax credit created demand or did it at least encourage people to buy? According to a study made by the Deutsche Bank’s real estate investment arm, RREEF, in a January 2013 report, the mortgage tax credits benefits for buyers were short-lived. Property developers, on the other hand, were the beneficiaries. “This house price escalation in 2010-2012 paralleled the more generous mortgage tax credits. Despite the price increase, the contract rate rose at the same time due to the ample tax incentive package. About 90% of house buyers said they were motivated to purchase because of the generous tax credit,” the RREEF report points out. This evidence supports the idea that tax credits contributed to housing demand, at least in the short term. “However, developers raised condo prices by an amount roughly equivalent to the tax credit increase. This means that buyers did not necessarily benefit from the increased tax credits because the price was raised almost by the same amount for the respective years of the incentive programme. Developers, however, benefitted from the increased tax credits as well as the elevated contract rate,” according to RREEF findings.